An attractive direct-mail booklet promoting AAA Travel’s hosted Concierge cruises. AAA’s special Concierge cruises were previously lumped in with all other travel products in one large booklet. We decided to give these exclusive departures a showcase of their own. 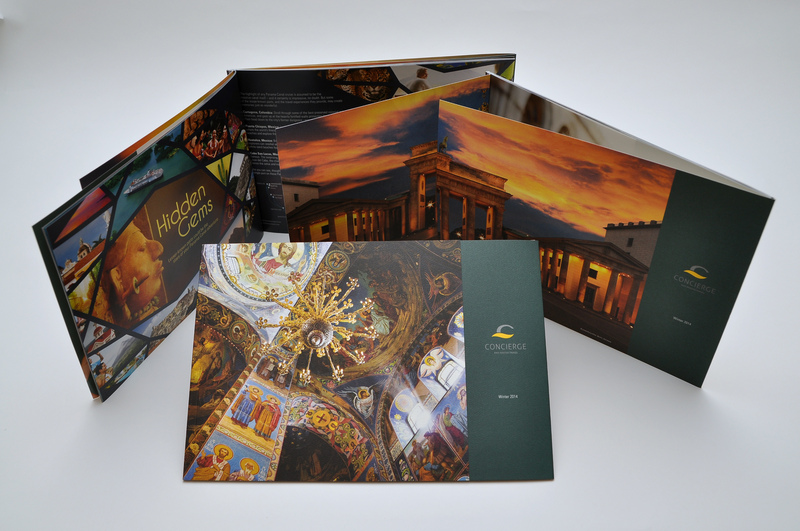 Each cruise is featured in an editorial-style spread, which focuses on a unique experience passengers may enjoy in one of the port cities. The response rate was excellent and resulted in a large increase in the number of booked cabins.